In Matthew 1:12, a man named “Jechonias’” appears in Jesus’ genealogy. This was Jehoiachin, also called Jeconiah or Coniah, one of the last Kings of Judah. Because of his sins, God pronounced a curse on Jeconiah, as we read in Jer. 22:24, 30, “As I live, declares the Lord, though Coniah the son of Jehoiakim, king of Judah, were the signet ring on my right hand, yet I would tear you off…Thus says the Lord: ‘Write this man down as childless, a man who shall not succeed in his days, for none of his offspring shall succeed in sitting on the throne of David and ruling again in Judah’” (ESV). Jehoiachin’s curse is found in the passage where God pronounced judgment on many of the evil kings of that day. These kings had rebelled against God and led God’s people to do the same. Because of God’s curse, Jeconiah and his male descendants were barred from, apparently, ever inheriting the throne of Judah. That’s why God told Jeremiah, “Write this man down as childless,” or, “Record this man as childless.” It’s not that Jeconiah had no children, in fact I Chronicles 3:17-18, which is also supported by archaeological discoveries in Babylon, shows that Jeconiah had sons and descendants. Rather, because the descendants of Jeconiah were disqualified from inheriting the throne, it was as if Jeconiah had no sons in a royal, or legal, sense. This is much the same as when an angry father might say to his disobedient child, “Get out of my sight, you are dead to me.” It does not mean the child is actually dead, only that their relationship is dead. Skeptics like to point out that Jeconiah is included in Matthew’s record of the lineage of Jesus (Matthew 1:11-12). This, they say, proves that Jesus cannot be the Messiah because God said to “count him as childless” and that, “…none of his offspring shall succeed in sitting on the throne of David and ruling again in Judah” (Jeremiah 22, see above). These skeptics claim that this prohibits Jesus from being the Messiah because He is a descendant of Jeconiah, whom God clearly said would have no descendants on the throne. While, on the surface, these unbelievers may seem to have a point, there are several answers to their accusations. Jeconiah is included in Matthew’s record of the lineage of Jesus … but the curse of Jeconiah stopped with Joseph and was not passed on to Jesus. Another plausible solution is that God reversed the curse on Jeconiah’s family. A passage in Haggai seems to indicate that Zerubbabel, Jeconiah’s grandson, was, “…blessed by God as the governor of Judea, and he prospered in that role when the Jewish exiles returned to Jerusalem. The “signet ring” imagery of Jeconiah’s curse is repeated in Zerubbabel’s blessing, which must be more than coincidence” (3). Ra McLaughlin concurs with this explanation, “In keeping with this, history reveals that Jeconiah indeed failed to repent, and that the resultant curse continued throughout his life. As stated above, however, the curse did not inhibit Jeconiah’s descendant Zerubbabel, who did not follow in Jeconiah’s evil ways, from returning to the land or from being potentially offered the throne of the “Davidic monarchy” (Keil, vol. 10, p. 497): “‘On that day,’ declares the Lord of hosts, ‘I will take you, Zerubbabel, son of Shealtiel, My servant,’ declares the Lord, ‘and I will make you like a signet ring, for I have chosen you,’ declares the Lord of hosts” (Hag. 2:23)” (4). Much more could be said, and argued concerning this topic; this article is but an introduction for those who may not have heard about it. It is my opinion that, were the appearance of Jeconiah in Jesus’ lineage a true problem, God would have had the Gospel writers address it and deal with it. However, this was not the case. 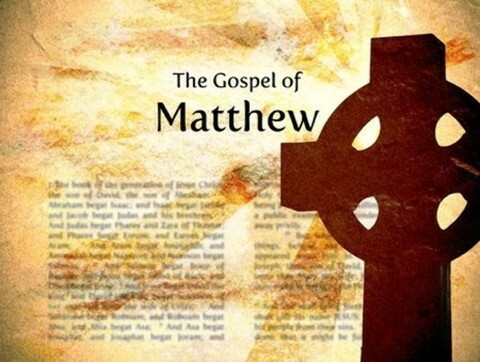 Ra McLaughlin writes, “Clearly, Matthew did not think Jeconiah’s presence among Jesus’ ancestors was something to be explained (after all, Matthew did not explain it). Rather, he saw it as something to be asserted as proof of Jesus’ messiahship” (5). If Matthew, writing under the guiding influence of the Holy Spirit, did not think it necessary to explain or defend the presence of Jeconiah in Jesus’ lineage, then it appears the problem is an issue with we who read instead of a problem of what is written. God never told us that we would understand everything. He never promised that we would know the answer to every question. He did promise us salvation and His indwelling presence. There is more than enough evidence within the Bible, and within the hearts of believers, to assure us that Jesus is Lord and Savior, and to render the issue of Jeconiah of no real concern. More to read: Who is Jesus? My take is that the promise of God to David was unconditional, “that David’s seed would rule perpetually” foreshadowing the Messiah, but that the promise to David’s descendants was conditional, that they “must serve The Lord and keep His Commandments” to allow their seed to Rule from David’s seat(ie eventually harbinger Messiah). The curse on Jeconiah’s descendants was lasting in that Jer 22:30 speaks as a Messianic allusion, “sitting on the throne of David and Ruling again in Judah”, and second that the line from Solomon, then Rehoboam, and onward did not, for the most part, keep their end of the conditional promise. Only Hezekiah and Josiah obeyed. Even the wicked king Mannaseh, Josiah’s father, repented, but God did not forgive Him, as His anger was “kindled”, even after his repentance, against Israel. My personal view is that God extinguished any avenue through which a male progenitor could possibly claim “blood” to the Messiah, as God’s Holy Spirit provided that seed to the Virgin Mary from whom Messiah came. It was Mary who Gen 3:15 spoke, that it was “her seed who would crush Satan’s head”. Mary came through David and made God’s promise fulfilled that “David’s seed(through Mary), would rule forever”. His curse, IMO, upon Jeconiah’s descendants was forever. What did Jeconias do, that God cursed him? why was he cursed for? can you please explained that so I an be clear in my understanding? Thank you for your answer, and many spiritual blessings to you in Christ Jesus! Hello Maggie. The answer you seek about why God cursed Jeconiah may be not fully know. “It was Jechoniah whose sins caused God to cut his seed off from ever sitting on David’s throne (Jeremiah 22:24-30). …Jechoniah’s royal line of descendants is listed here [in the genealogy of Matthew 1] to show the legal right of Joseph, the foster father of Jesus, to David’s throne (Matthew 1:16). Neither Joseph nor any others of Jechoniah’s seed could ever have the spiritual right to the throne. That right must be carried through Mary’s ancestry” (Dr. Henry M. Morris, The Defender’s Study Bible, note for Matt. 1:11.). Asserting tribal lineage through the mother is refuted by the story of Shelomit in Leviticus 24, who had a son by an Egyptian man. Counted out for tribal inheritance (he wanted a share in his mother’s tribe), he became the Bible’s first blasphemer and first recipient of legal capital punishment, shaky grounds indeed to claim that Mary’s lineage works for Jesus. A Cohen or Levite or a member of the tribe of Judah who adopts a child does not grant their tribal status to the child. A single disqualification in status is a total disqualification. There is no lineage if one asserts the Father impregnated Mary. Jesus clearly didn’t sire himself. That leaves the tribeless Holy Spirit to do the conceiving. But given that Genesis is clear that G-d is both male and female and that Father and Son are both male, that leaves the Female part of the Trinity to impregnate Mary. Quite a can of worms. My friend, the Bible never says God is both male and female. Neither is the Holy Spirit the “Female part” of the Trinity. That is not what Scripture teaches at all, so please consider your sources for whoever taught you these things.